Discovering a new-to-you photographer is a great feeling. Looking at their work, possibly trying to imitate it, and putting your own style into an old favorite are some of the most rewarding moments to an aspiring photographer. Richard Avedon is such a photographer to me. I have heard his name in passing, but never really did any research on his work. Today, I want to share two of his photos. 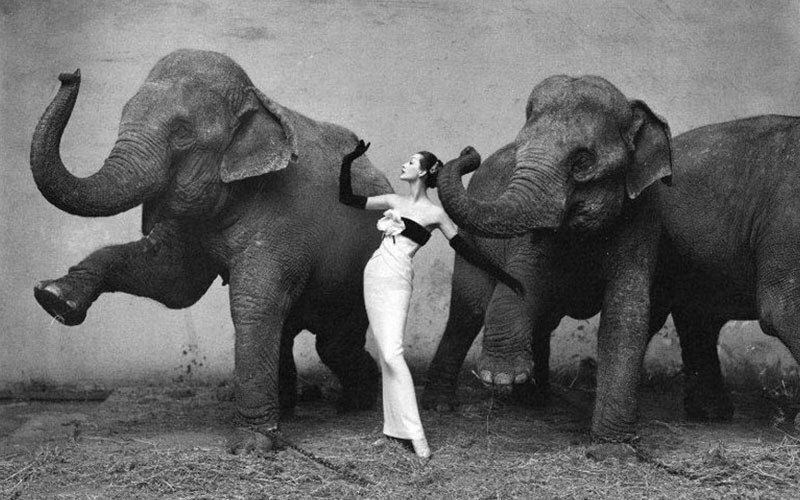 The above photo is titled “Dovima with Elephants.” It was featured as one of Avedon’s many fashion pieces. It is visually aesthetic, the woman’s arm matching the elephants’ trunks. They are all looking in the same direction, and the black and white make for an elegant feel as the woman’s clothing appears to only contain the two colors which makes the outfit stand out. I really love elephants, so to see them interacting so beautifully with a model is what drew my eye to this photo. The above images were featured together, I’d like to focus on the image of the man covered in bees. 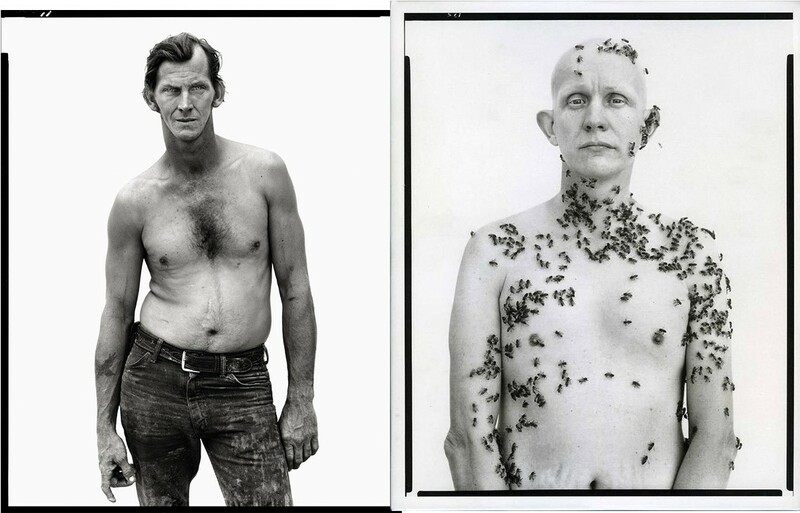 Avedon wasn’t afraid to be a little weird with his images, taking on work for a section called Bazzar. These images were from a project titled “In the American West” which focused on regular people in what was considered fly-over country to many. It shows a unique perspective on the stories of people many may never meet or may never have had their story told before. This type of work is exactly what I am trying to accomplish with Ashventurous! Hopefully, you will do your own research into some great photographers. Share their work and yours in the comments below. Be sure to give credit!